When CSN Stores approached me with another opportunity to review one of their many stores I immediately took the occasion to check out their backyard swing sets. Perhaps it is the fact that we already hear the robins singing and my jonquils are showing in the garden. Spring is not that faraway! We count our blessings we live on an island and in a temperate climate! And we cannot wait to enjoy our garden once again! Like most child fortunate enough to have a backyard, owning a swing set was the ultimate treasure! Ours was nothing fancy by any means but my brother and I spent countless hours playing on ours. Life was simpler then, without computerized games and television! Later my children also enjoyed their own swing set. I remember well how glad I was we lived in the countryside. They could breathe the clean air and play safely in our yard! We allowed so much time for Mr.Rogers and Sesame Street programs, then it was time for playing outside. It seems so long ago yet it was only yesterday! 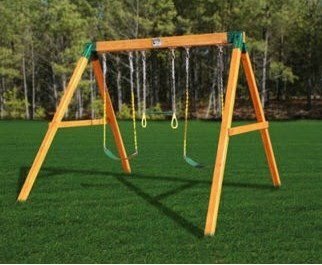 I am such a dreamer I immediately look at all the available swing sets. Psst, I hope to become a Grand Ma one day! Keeping our rather wet climate in mind, I decided to chose something really sturdy, easy to assemble and in view of the Economy, affordable. 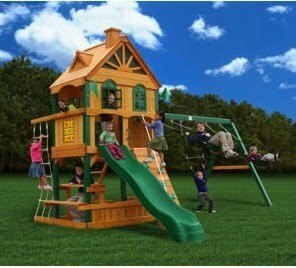 The Gorilla Play set Congo Free Standing shown above is in fact very much like the one my sibling and I shared and very affordable at $549 with free shipping. However I could not resist the Gorilla Blue Ridge Riverview style shown below! 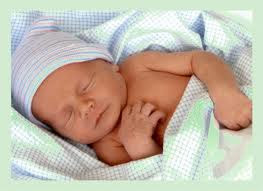 It has so much opportunities and I must admit even in my dreams, I could not have imagine something so perfect! Again with free shipping and at $1899, it seems to be the embodiment of all you would need to keep your children happy and safe in the backyard! It is of course a bit more expensive but if your consider the many hours of pleasure it will bring to a child, it is perfect! Constructed of Cedar with a beautiful amber finish, the wood is factory stained and sealed and thus, this particular swing set is resistant to rot, decay and insect damage. Please note as a Preferred CSN Blogger, I wrote this post and received a gift certificate towards a purchase. The views expressed are however entirely my own! 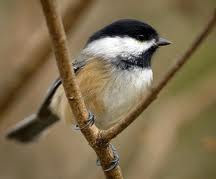 Island life means we can observe both Marine birds and the usual Inland birds such as the Chickadee amongst others. Bird watching has become one of our favourite pastimes! Despite the Deer - who are not shy and will reach out for the bird feeder (and everything else in our garden) - and the Raccoons who just love to steal, we still manage to attract our bird friends. The idea of placing a long steel line betwixt 2 trees near a large Holly bush came to my husband one day, with the Holly providing a shelter for the myriad of small birds who hide from the rapacious Eagles. We now have a 4 stars bird station with a bird feeder, a bird bath and suet! 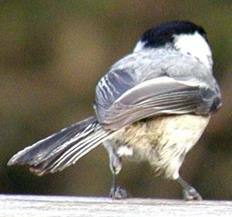 Only 5 inches long, the Black-capped Chickadees is said to belong to the Titmouse family. With its little black cap, white cheeks, and small black throat, they are not afraid of humans. During the winter months, these small birds flock together along with Titmice, Warblers and such... We learned that the Black capped Chickadee's sweet sing song calls when they locate a good source of food! Amazing! And with daily observation we noticed there is also a strict order in the flock. Each will wait its turn to fly to the bird feeder, eat and fly back to its original position before repeating the whole process. I call this one Mr. Chips! 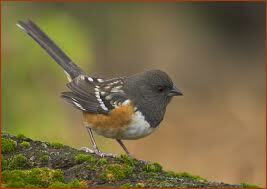 The Towhee (see below) is also a frequent visitor along with Finches! As for the Stellar Jay I love its beautiful colour! I feed them daily with peanuts which they absolutely love! In seconds in the wee morning when MacIntosh and I take our walk, they fly by and call to each other: "Breakfast is here! Come and get it!" Since January is always a harsh month, please remember your Bird friends: be sure to feed them regularly and provide them with a source of fresh water! The winter months are very hard on them! Melt the lard and peanut butter in a pan over low heat. Pour into a pan to cool down (or the containers from the store bought suet you have been using up to now) and put in the fridge to harden. Cut to size and place in your favorite suet feeder. Voila and Bon Appetit! This post reflects my opinion only and I received no remuneration for it! 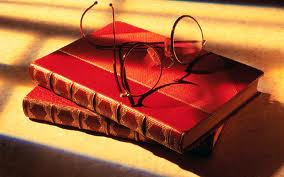 Books have always held a special touch in my heart. As a little girl, I just loved to accompany our Granny to the local library and check out "my" books. You were allowed to take home up to 5 books at a discount cost for older ones and 2 of the latest selection at a slightly higher rate. An avid reader, Granny encouraged us despite the additional cost and to this day I love her for it! Books allow anyone to escape reality if only for a little while of course and as a Dreamer, I can attest it has always been a refuge from the humdrum of everyday life! There is so much to discover betwixt those pages and it brings such a comfortable feeling unequal to anything else in the world! On my list for this upcoming month will be many titles I have wanted to check out of course and a few posts about different Authors. In addition there will be Reviews of soon to be published Books as well as just released titles and for the first time, Contests! I felt it was time to give it a try since we are in the second year of our Blog after all and everyone likes the feeling winning something gives! So come back often and check out what is happening in our little world of Books! I will always share with you what I discover in the piles of wonderful books I continue to read! This year in my Christmas stocking was a 3 month subscription to Victoria magazine. I can only described it as a comfortable feeling sitting down with a cuppa and enjoy looking at all the pretties as my daughter would say. And it follows that with the help of the internet (when Lazarus, my computer does not fail me) I can check out the different shoppes advertised. Window shopping! Anyone who knows the expression "I would like to have one of everything" knows what I mean! Etsy shoppes were something of the unknown to me until recently. In fact I had never registered so I could not buy anything but when I discovered the Swallow's Tale, I leaped! Armed with a Paypal account -yes, I really have one of those, albeit used seldom and dusted off just for the occasion - (does anyone else hear my husband's groans? ), I browsed and looked and admired and finally made my first purchase! This shoppe opened just last April. The Swallow's Tale offers what can only be described as an exquisite array of Necklaces and Pendants, Earrings and Bracelets. You will not be able to resist shopping for a little something for yourself or a loved ones albeit I guarantee you will have a hard time to choose! I must admit I was partial to references of many books I treasure myself! Skilfully handcrafted of brass, patinated brass, silver plate or sterling silver made in the USA unless stated otherwise by the owner, these items have neither lead or nickel. And when my purchase arrived as you can see it was tastefully packaged as promised and I was truly happy in my choice! I am always glad to pass along anything I discover and this is a lovely find! A member of Shabby Lanes Shops, The Swallow's Tale has many features including Tuesday's Treasures and Deal of the Day along with a wonderful blog. A perfect place to shop for St Valentine's Day, Mother's Day or even a Graduation present or just any special occasion! Be sure to sign for the newsletter! Just a reminder: I was not asked to review this shoppe but simply wished to pass along my opinion! No tele here, just a radio on which we prefer to limit ourselves to 2 channels, NPR and the classical's. We do have a nice selection of CD's however and we often listen to Jazz or Classical music. Ours are a very eclectic taste in music. I am happy with Toots Thielemans and Miles Davis whilst my husband favours amongst others Rosemary Clooney and Tony Bennett for Jazz hour. Classics we enjoy however are much too long to list but we agree that anything involving the piano is on top! Perhaps it is because we were raised with music around us. His father loved to play the piano with his Mum singing along, O Danny Boy being her favourite along with the Tennessee Waltz. Growing up at a time when Occupied Forces were in Germany meant my first recollection of music was in fact German music along with Allied Forces Broadcasting and the many records my father collected, mostly Classics and of course Jazz. I also remember he played the Clarinet whilst his sisters played the piano and the violin. Daily news are often disturbing because we have connections with so many parts of the World and all we can do is taking a wait and see attitude along with sending our thoughts and prayers their way of course! 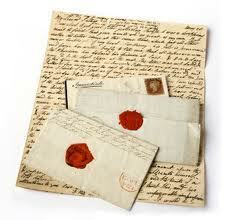 It is always reassuring to find a letter in the post or to get an email from one or the other. Blogging has become another way to keep in touch of course and there is an amazing amount of information shared amongst bloggers to be sure! The best part about it is that you meet so many people! I never thought I would become such a fan of blogging but here I am, second year in the row and liking it! 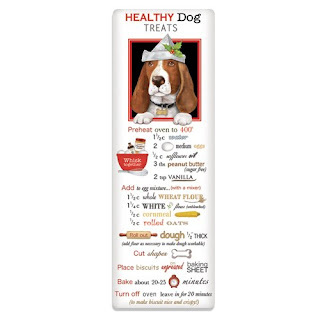 I have recently added a few items to my blog for all of us Pet Lovers! MacIntosh the Corgi and Maira the Cat will tell you it is very important to us. Due to the flooding in Queensland for i.e., so much of the Wildlife have lost their lives so I thought I would do my bit by asking you to check out today Paw Nation! 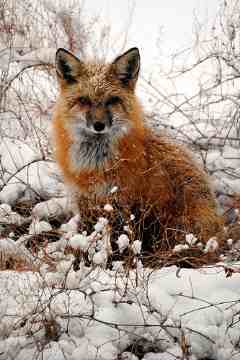 You will find some incredible stories such as the Fox who fought back! Good for him! And as always remember that unless I state otherwise, I was not asked to review these sites and therefore the opinions expressed are solely my own! Perfect Time of the Year for Lots of Knitting! Believe me when I tell you, I love knitting! It is so peaceful! I think it has something to do with our rainy weather for one thing and of course it has been a tad chilly also but it's just a nice feeling to handle knitting needles! I like to sit by the stove in my rocking chair and knit (or read) whilst sipping a nice cuppa tea! There is however this wonderful stack of books I feel I really should go through... You understand the temptation! But seriously a Scottish friend emailed me with her plans of clearing up her stash of sewing goods as she seems to have acquire a few extra lots. Being an excellent Seamstress as well as a Couture Teacher she is bound to find a few good homes for the extras if she can part with them. I never tire from checking out places like The Knit Box with their wonderful selections of Turkish Cotton and particularly their Ebru Needles! I love my blue set and will vouch for their quality! There is such a feel of luxury when you handle them! 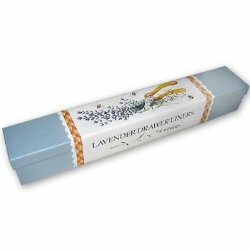 A set of these are sure to become an Heirloom and with the Knit Box's mission, you do a little bit of good as well. And since I love good yarn let me share with you another site I favour: Maple Tree Yarns. Family owned and with 30 years of experience they have a wonderful selection of British yarns with rich colours. 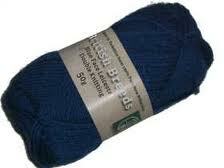 Check out the quality of their Blue Face Leicester DK or natural Aran! P.S. 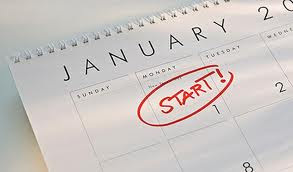 January means 10% off as well! One more thing: if you are like me you love to acquire a few new "must have" items for one special project or another of course but keep in mind the economy and do not splurge on items like the set of needles below! I am sure they are wonderful needles but at a cost of 95 Sterling pounds or $150 approx. I think I will pass! Please remember these posts reflects my opinion only and I received no compensation for mentioning these sites! When we go off island I usually have a long list of things to do and even a longer things of things to pick up. Since we are bound by a ferry schedule it means pretty much a nonstop day and whilst we look forward to those days, we are always happy to be back! Island life you see! Like most "organized" people these days I have a day planner and I use it often if only to remind me of one thing or another during those... senior moments! And I have no excuse not to write a list since I just received a lovely pad printed with lilac branches for such! And yes, there is always something I (we) forget or even better, we forget the list! So yesterday was no different (eggs and bread storage bags!). The best part however about yesterday was to see all the window decorations for Valentine's Day! We like to stroll in a nearby harbour and their tiny shoppes including Antiques and Collectibles of all sorts held a real attraction since it was sunny, dry - not something that happens a lot on the Pacific West Coast at this time of the year - and perhaps we just need to shake those cobwebs! So we wandered around and noticed the garlands, flowers, cards and assorted nick knacks available for the occasion! Quite an industry as my husband quipped! What happen to Romance? I decided here and then I would explain to him how important this day truly is - for us Romantics - of course only to realize how little I knew of the subject! Whan euery byrd comyth there to chese his make. For this was Saint Valentine's Day, when every bird come there to choose his mate. The Young Man's Valentine Writer was published in 1797 in the UK with much sentimental verses for any lover unable to write his own. 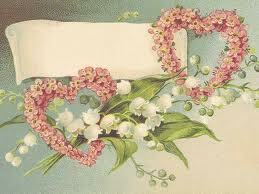 By then Printers had already begun the practice of producing some cards with verses called Mechanical Valentines. They became so popular in the early 19th Century that soon factories assembled them, mostly with paper lace albeit real lace and ribbons were used for fancy cards. In England alone 1.3 billion pounds (Sterling) is spent yearly on cards, flowers, chocolates and other gifts, with an estimated 25 million cards being sent! Wow! 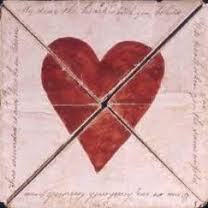 I even discovered something I missed (again) in the British Museum: a 1790 Valentine card, an absolute gem! It is a handmade puzzle, or "rebus" which unfolds to reveal poetic messages. 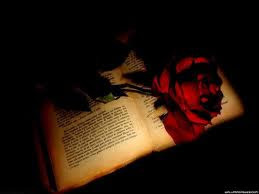 My dear the heart which you behold Will break when you the same unfold Even so my heart with lovesick pain Sure wounded is and breaks in twain. I am told that in the USA more than 1 billion cards are sold and exchanged each year for Valentine's Day alone, many by children! Quite an industry indeed! The best thing however that happened was finding a letter from Lina in the post.. This ARC of the book Lastingness - to be published this month in fact - proved to be a new challenge for me. I will admit that reading "Whatever hill we try to climb, we are over by fifty and if that hill involves entertainment or athletics, we are finished long before" was again a reminder that nothing lasts. I have thought for a long time now that once you reach fifty, your warranty is over and then everything falls apart! Or does it? Yes, I am over the hill and I confess this is the first book I read on the subject. Anyone who is retired will agree this kind of subject comes as a mixed blessing! 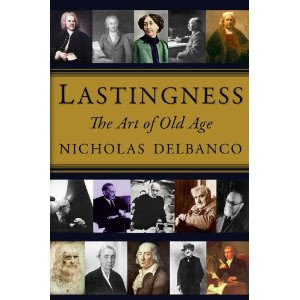 Nicholas Delbanco's uplifting look at old age however involves an amazing amount of detail and thought. In this, his latest book Lastingness, he clearly shows that Creativity and Genius is not limited to the younger generation. In fact he gives wonderful examples of those who continue to perform interesting and productive lifestyle in their 90's and beyond! It is enlightening to know that whilst some people see their skills and knowledge decline in their latter years, many - like a good wine - will improve and still contribute to our World even as their body slows down. Growing old is indeed an art! And you just might discover something about yourself still! Nicholas Delbanco describes his father in law as being "Only ninety four". From someone who was raised by her Grand Mother I can attest that even as a nonagenarian you can live a full life! Her motto was "Live, Don't just exist!" and she left an everlasting impression on anyone who met her! 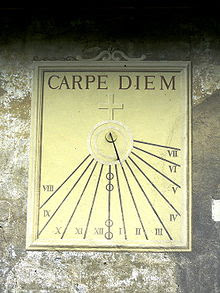 Carpe Diem (Seize the day!) as Horace would say! Not all of us will be remembered as an Artist or a Genius of course but we still have a few things to do and to try! Never say Never! This book is a great read for anyone in the Golden Age or merely approaching it, especially those of us whose plans calls for just sitting in our favourite rocking chair on the porch watching the world go by! Carpe Diem! This is 4 star material and I recommend you find a spot on your library shelves for this book! Consider this a much enjoyed book! Disclosure of Material Connection: I received this ARC book free from Hachette Book Group as part of their Blogger Review Program. I was not required to write a positive review. The opinions I have expressed are my own. I am disclosing this in accordance with the Federal Trade Commission's 16 CFR, Part 255: "Guides Concerning the Use of Endorsements and Testimonials in Advertising." The simple definition of cabin fever is a sense of boredom, feeling restless or irritable resulting from a lack of environmental stimulation i.e. when staying in a remote and sparsely populated area or being confined indoors. By that definition I am NOT feeling cabin fever albeit I am living in a sparsely populated are and I definitively confined indoors. Guess what? It is RAINING again! And bored I am not! I should however count my blessings that we live on one of the highest points of our little island and not in a flood plain as so many others. So far the news have brought some very sad stories of Queensland and even areas of our Pacific Northwest Coast being inundated. Mud slides follows closely and Spring is not yet here. Everyone knows that with the beginning of the year, mailboxes soon overflow with seeds catalogs and every gardener starts dreaming! In our case I should phrase this as scheming! Our island is deer friendly and they swim across the inlet back and forth when not in residence. I love to feed them and always laugh at their antics that is until I discover yet another flower or plant munched to the root. Fences are the best defense of course and I marvel at my husband's patience in trying to defy adversity (in this case, the deer). Betwixt bamboo fencing, poles and deer proof netting (let's hear a laugh) we seem to be holding our own for the most part. We read all the books on the subject, we heard all the advices - including planting enough for both the deer and us -and yet we still sigh when we see all the pretty colour catalogs! Valentine's Day is coming next month so my romantic soul took me to some wonderful sites I just had to share with all of you. 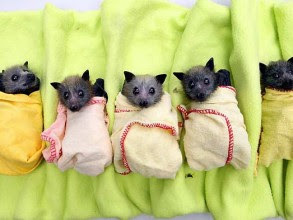 The first one is called Vintage Soul Linens. Their selections of custom designed linens, one of a kind purses, beautiful antiques and vintage tags for either a Country or Vintage room, Nursery or Guest room, even a Seaside retreat is breathtaking! The other one is Mary Lake-Thompson site. She has a wonderful store on line! 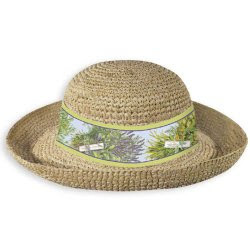 Towels, aprons, totes, drawer liners, soaps, ceramics, hats and so much more! You will be amazed at her selection of gifts sets! Perfect for anyone's romantic soul and to give to that special person in your life! MacIntosh says - Check out her recipe towel for Healthy Homemade dog treats! Woof! Be sure to sign up for her mailing list! You will discover many ways to bring a little touch of sunshine - despite the rain or snow - to your home so enjoy browsing! Please note I share my opinion only and I was not asked to write a review on these sites nor was I remunerated in any way! As the days goes by, our young friend shares with us the latest news about her pregnancy. She is expecting for late Spring. We are excited and because we are faraway, we are thankful to have the Internet and to be able to see the sonograms and share with her these special moments! Girl or Boy, it matter not. Healthy, we pray and thank you God, we say! I found the following poem and wanted to share it with you. We are taught from a young age that the 4th commandment reminds us to observe the Sabbath and to keep it Holy. To most of us however the Sabbath is a day of rest but in Sabbath, his latest book, Dan B.Allender tells us how he sees this day as much more. Let's face it, during these busy times it is more likely to be a day to catch up with chores and homework or even just another day of work. In this, the 3rd book in the Ancient Practices Series, the Author attempts to describe the Sabbath but whilst his writing is eloquent and flowing, he failed to back up his ideas with true scriptures. An interesting book, even informative at times taking in account the theological and biblical foundations described for the observance of the Sabbath, yet I was left wanting to know more. 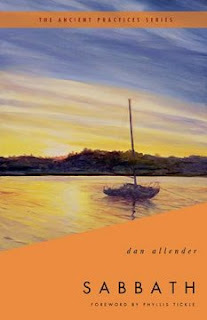 Overall, the book seemed to be mostly about Allender's own ideas about the Sabbath and little else. Still, anyone looking for ideas and directions about the Sabbath will find it perhaps interesting. I could only give it 3 1/2 stars regretfully. Disclosure of Material Connection: I received this book free from Booksneeze Publishers as part of their Blogger Review Program. I was not required to write a positive review. The opinions I have expressed are my own. I am disclosing this in accordance with the Federal Trade Commission's 16 CFR, Part 255: "Guides Concerning the Use of Endorsements and Testimonials in Advertising." This is a very different book review for me and I must admit it was a bit of a challenge. It has been awhile since I have had teenagers in the house yet as a Mum, I believe I have always striven to be the best I can be. Problems such as communication betwixst Parents and Teenagers comes to mind first of all, something most of us do not get easily the hang of it. I will admit however that albeit I might not have always heard what was said then, I have learned and my "difficult" teenager is now my best friend. There is nothing I would not share with her and I enjoy very much discovering her as an adult! Angry is written by author Laura L. Smith and it brought back memories of the many phases of teenager years! Teens have a tough time growing up especially with peer pressure, school and family problems and our ever challenging society makes it even more difficult these days than it used to be in the past. Internet, Media, Latch key kids and lack of parental supervision, Money, all play a big part in the growing unrest of our Society. Sixteen year old Laura shares her Summer betwixst caring for her young siblings and hanging out with her friends at the pool. Her Mother is an alcoholic, her Father is often traveling for business and finds someone else. Soon Laura's parents announce they will be divorcing. For Laura this is the ultimate heartbreak and her world comes crashing. She tries very hard to hold things together yet she feels her life will never be the same and she is angry. Her circle of friends and the upcoming school production of Les Miserables however are the two bright spots in her young life. At first Laura hopes to land the part of Cosette but when her Drama teacher gives her instead the part of Eponine, she finds her own way to deal with the pain. What she has not yet realized is that God is going to use the play to draw her to him. Laura's journey from despair to victory is an excellent story for young people faced with similar problems but also for anyone who remembers how hard it was at times to grow up. Not everyone will agree I am sure but I would recommend heartily and I give it 4 1/2 stars! I must admit that there are many things I enjoy doing in my life and some I do not (washing windows would be one)! 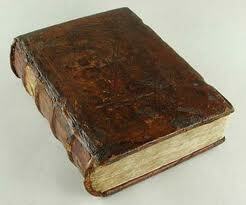 I love to read and obviously this would top my list of preferred things. Next it would be baking followed closely by knitting! However I will also admit the latter two requires skills thus it is a challenge at times to produce just what I envisioned! Amen! So reading is it! Our Granny used to love to read and whilst raising us must have carried tons of books from the library to our home! There are many books on our shelves, some so well read they are literally falling apart. The Classics are shelved almost by themselves as we both like them. Others I keep because of their references and I find these to be the majority of our selection. It is one thing to search online but being able to have the written reference is to us still the most satisfying! Keeping in mind we often loose power here might explain that too! Then there is the paperbacks, a lot of them of course! Easy to carry when we travel to the cabin for one thing, cheaper of course and readily available both online and at our favourite book shoppe! 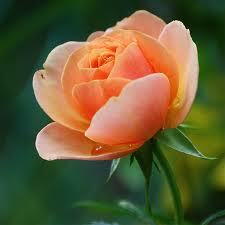 As to the genres, I like a variety of things but do not care for Politics, Autobiographies and such. 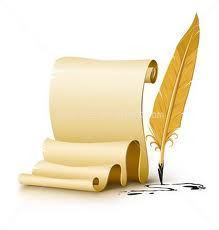 I have a penchant for Historical novels, especially when based on true facts and when I find a good Author, I will keep on searching for their books until I have a good selection of their work. There is nothing more satisfying than reaching out for a good book! In general, I keep to Christian stories and I have a penchant for anything describing the English countryside! The other half of the family's tastes leans to Naval History, Christian literature, Science Fiction and his favourite, Westerns! Yes, Louis L'Amour is a staple here! Someone actually wrote an article of how to "display" your books. I must admit I read it and decided this was just not the thing for us. Ours are neither shelved by their size or colour despite the suggestion of "correct" shelving procedures. Maybe we just have a lot of books! We do try to keep all the Classics in one area, the Novels in another, the Christian literature in their section and the Naval history and Westerns in their own places whilst our reference collection takes up the remaining shelves! And trust me, there are many shelves! 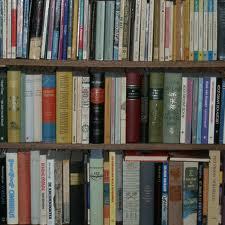 Upcoming for review, we have lots of books to present so keep tuned...I promise a few you will love to read and much more! 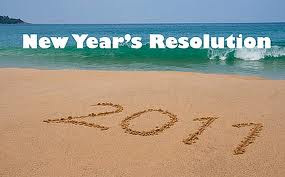 I will admit I was so involved in the Christmas Season that somehow New Year just happened! Surprise! Inspired? Not! But I will concede the matter of clutter should be reconsidered. I think it has something to do with removing the tree, storing all those beautiful ornaments, the Creche, the stockings and the seasonal items such as linen etc... Once you have vacuumed (Wow! where did all those needles come from?) and dusted, it just dawns on you: there is this sudden need for moving things, cleaning and recycling! In the past it used to be called Spring cleaning...But since the seasons have changed all together everywhere, it appears we get the urge sooner perhaps? Being realistic: Removing 3 cabinets in our kitchen, giving the whole room (and the cabinets) a new coat of paint has given me the incentive to change all the cabinets liners and remove all the kitchen tools I do not use on a regular basis (who needs 3 bottle openers even if one is a cute caribou?). Call it a start! And for the price of a couple of cans of paint, you will admit it was not costly! Make Pro and Con list: Well, there you got me! I know what I am capable of and I should be able to list that under Pro (no fibbing allowed here!) but as to Con... I just know Patience tops that list as it will never happened...I have very little of it! Reward myself: hum...a chocolate always goes a long way! Track all progress: every year I tell myself I will keep a better organizer! Franklin Covey makes it so easy...or maybe it is easier for someone else! Bottom line, it is better to take one day at a time and do the best you can each day! Special message from Margaret McSweeney! Nearly 2900 people signed up to win the Pearl Set (Necklace, earrings & bracelet). The winner was chosen randomly at Random.org. Number 226 is Karen Medin! 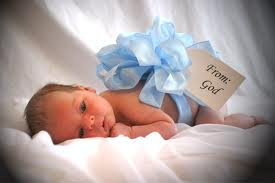 Congratulations Karen and God Bless!